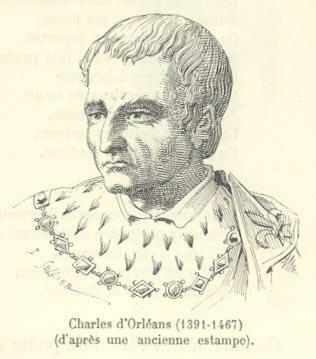 Charles of Orléans was born in Paris in 1394. 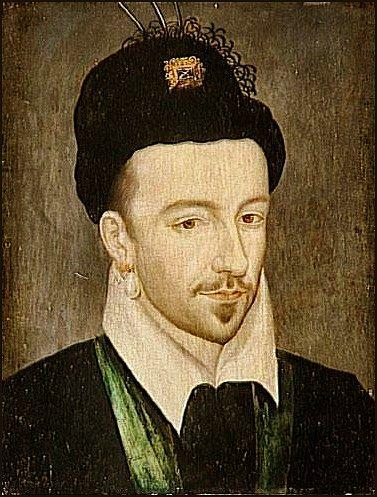 A nobleman with several titles in addition to Duke of Orléans, he was also an accomplished poet and it is believed that he wrote hundreds of poems while incarcerated as a prisoner of war for some twenty five years. This long period of imprisonment was at the hands of the English who had captured him at the Battle of Agincourt in 1415, and many of his poems were written in English. 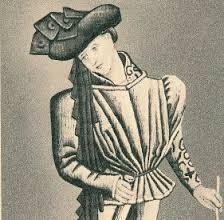 When Charles became Duke of Orléans in 1407, at the age of 13, the sworn mortal enemy was John the Fearless, Duke of Burgundy and it was his assassin who killed Charles’s father, thus prompting the accession. 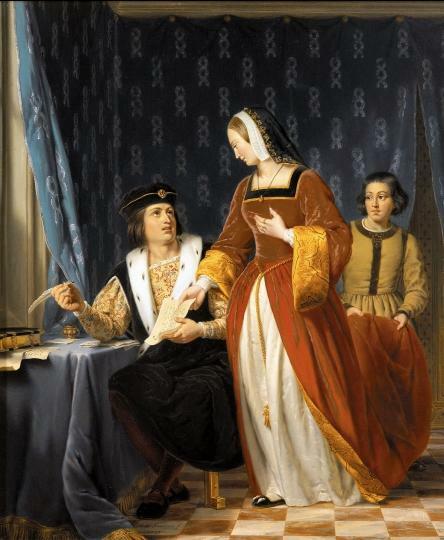 Despite Charles’s tender years he was already married at this point, and eventually had two more wives. 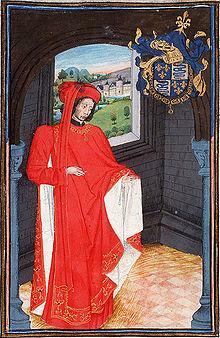 With the title Duke of Orléans came additional titles including Duke of Valois and Lord of Coucy. 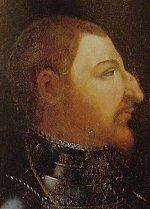 He also inherited a part of Italy called Asti due to his mother being the daughter of the Duke of Milan. 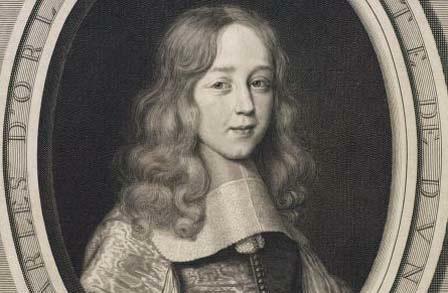 Tragically he lost his mother to illness brought on by the grief following her husband’s death so Charles was orphaned very young. 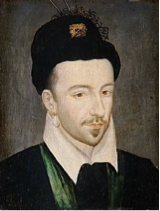 He looked to the Count of Armagnac, his father in law, for guidance from then on and he was soon fighting in the long war against the English. When the French were defeated at Agincourt, Charles was transferred to England where he was imprisoned at a number of fortified locations, including Pontefract Castle. He enjoyed the benefits of nobility however and his incarceration was never uncomfortable. He had been refused leave to appeal against his imprisonment due to his perceived importance as a pretender to the French throne. The English king, Henry V, said from the outset that he should not be released although this was eventually rescinded in 1440. It is often believed that he spent his time writing often melancholy poetry, reflecting his unhappy state of imprisonment. 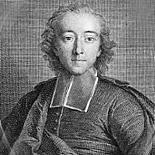 It was said that, on his release, he could speak and write English at least as well as his own native language. 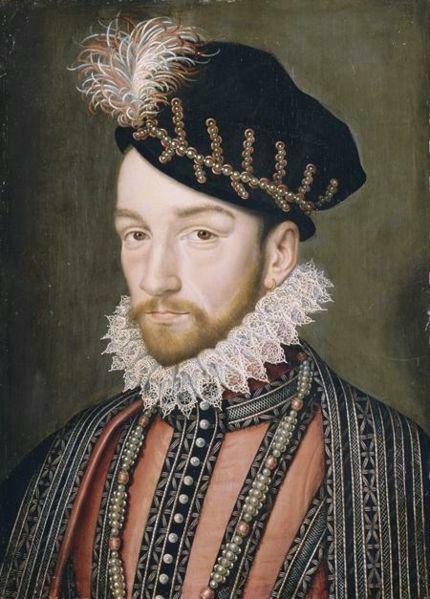 Once released he was received in Orléans amid great celebration and he quickly set aside any thoughts of revenge against his father’s killers, settling down instead to become a patron of the arts. 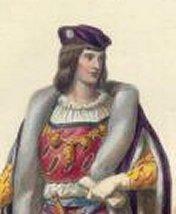 Charles, Duke of Orléans, died in Amboise in January 1465 at the age of 70.